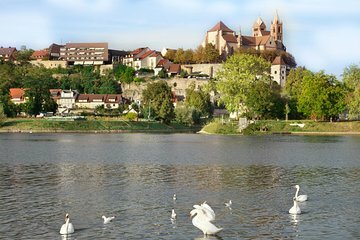 Explore the town of Breisach on a sightseeing tour that gets off to a good start—with a glass of sparkling wine. Then follow a guide through the historical town center of Breisach to see landmarks like the St Stephan cathedral. Enjoy lovely views of the region, from the Rhine to the Black Forest, and learn about the town's centuries of history. You also have the option to include a visit to a winery.